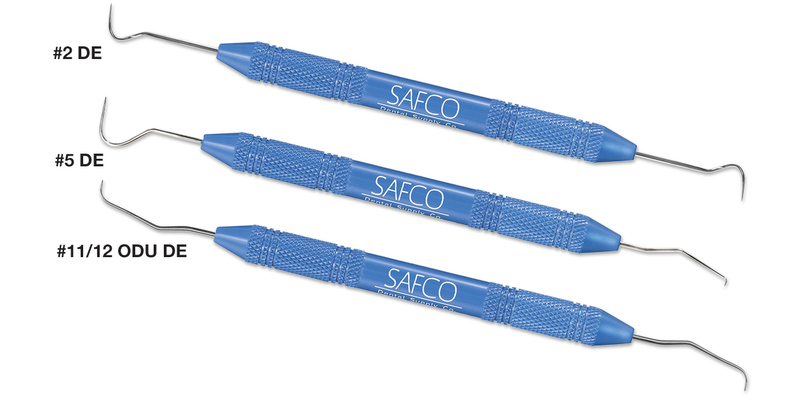 High quality double end instruments with lightweight, slate blue resin handles. Thick, 3/8” diameter handles with diamond knurling pattern improve control and comfort. Note: The tips on Safco ResinLight handles may differ slightly from those on Safco standard or ergonomic stainless steel handles.